There is no pleasure like picking the first vegetables of the season. Prickly leaves, like floppy summer hats, pushed out of the way. How could just two days make such a difference? Look how big and bright. Five. Lemon-yellow, bumps of Braille on their skin. Not a blemish anywhere. Three are too big. Would I buy you at the store? Absolutely not. I’d reach for the more tender, slimmer version of you. But you are mine, and you are perfect. 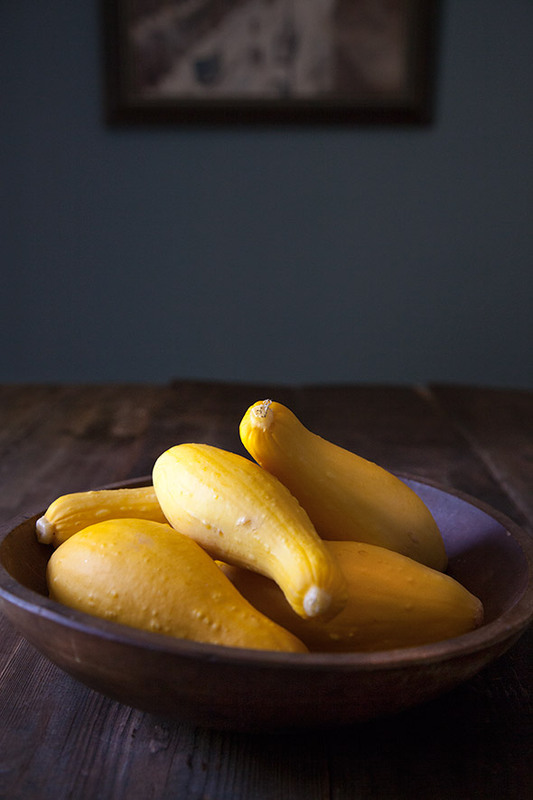 Shapely, Rubenesque, just right for gratins, pickles, fritters, and slaws. I promise to check every morning, and when I do, I’ll keep an eye on the peppers, tomatoes, cucumbers, and nasturtiums, too. Only twenty-two hours to go.